Want to read more about Issaquah’s notorious Labor Day Celebrations? See our blog post from September 1, 2011. 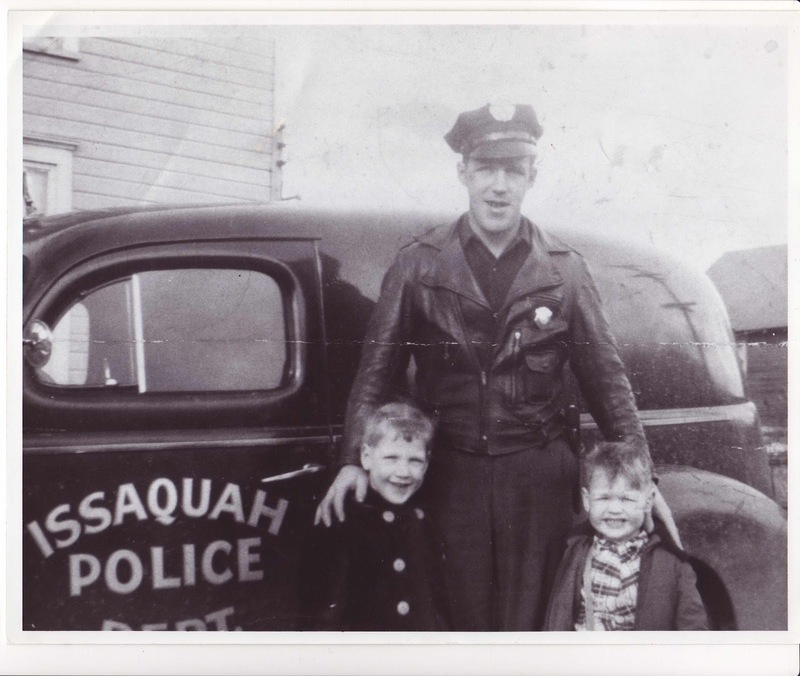 Want to see more pictures from previous Issaquah Labor Day Celebrations? 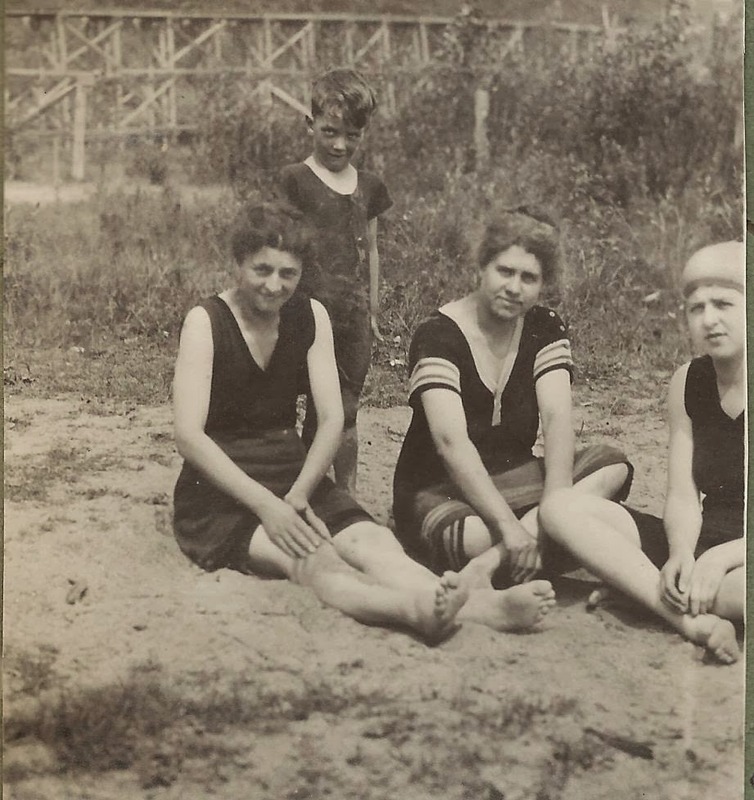 Head over to our Digital Collections and search for “Labor Day”. 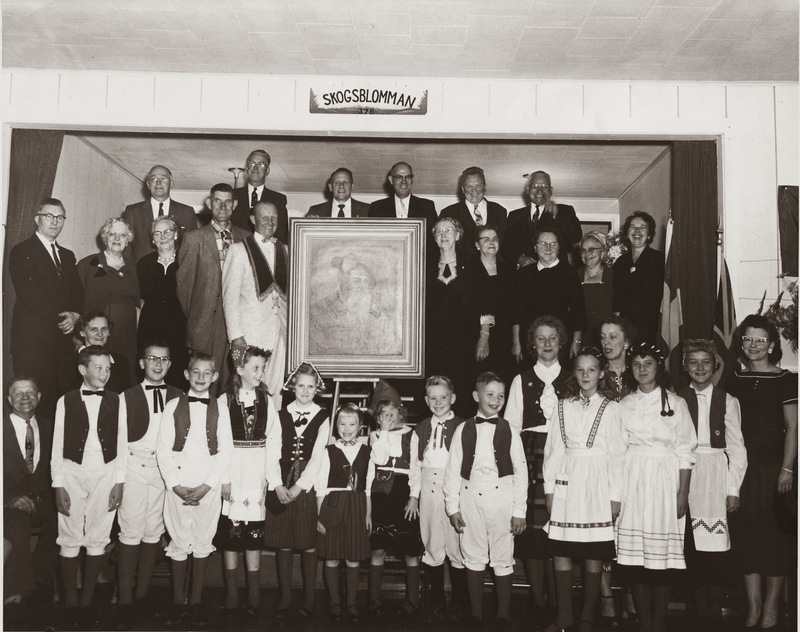 A generous grant from 4Culture is currently funding the digitization and cataloging of several archival collections, including the letters of Minnie Wilson and Jake Schomber, Issaquah residents and sweetheart. The couple corresponded during World War I, when Jake was serving in the Army. This post is part of a series of posts about their lives and letters. Finishing up in the series about Minnie and Jake is a different sort of letter. This letter was written to Jake post-WWI from an Army friend, H.J. Hurd, and is dated November 6, 1919. This was only a couple of weeks after Jake arrived home to Issaquah. When I first started reading the letter, I thought it would be interesting to have an insight into what Jake’s relationship was with the men in his company – particularly people he was close to during his experience “over there.” The letter quickly delved into something different and I soon realized that H.J. Hurd was suffering from some sort of depression caused by his time in service. 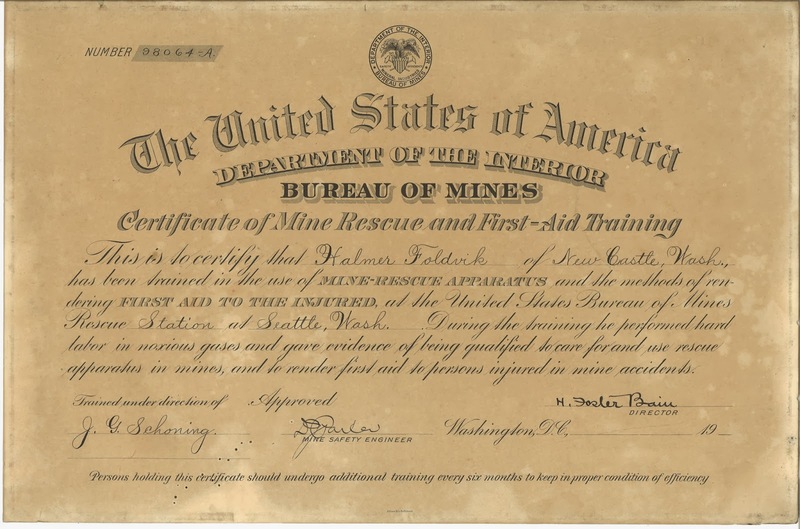 During WWI many soldiers experienced what was known as “shell shock.” Similar to Post-Traumatic Stress Disorder, shell shock is now called Combat Stress Reaction. Symptoms of CSR include: loss of initiative with fatigue, depression, extreme feeling of losing control, loss of adaptability, confusion and mistrust of others. There are many other symptoms, but Jake’s friend seems to fit the bill. This letter made me curious and a bit worried about H.J. Hurd’s future. Through some digging on Ancestry.com (my favorite thing to do) I found that Henry Jay Hurd, Jake’s friend, was born January 5, 1889 – only 3 years younger than Jake. I found both his WWI draft registration and a WWII draft registration. I couldn’t find any information on him being enlisted in WWII. He married about 5 years after he sent this letter – to a woman named Veva who was 11 years younger than him. In 1930 they were living in Portland. He worked as a mechanic and she as a grocery store clerk. “Well you old ex cpl I would like to see you pretty well, I’ll tell the world of all my buddies, I had rather see you than any of them and I sure miss you old man. We were pretty good friends at that weren’t we? Well I will bring this to a close hoping that you are well and better satisfied than I am. Write soon to your Old Buddy. It seems through my research that Henry was able to get out of his “shell shock” but I wonder if he and Jake were ever able to meet-up again. I wonder if Jake was worried when he received this letter. I wonder if Jake ever experienced anything like this after he arrived home. 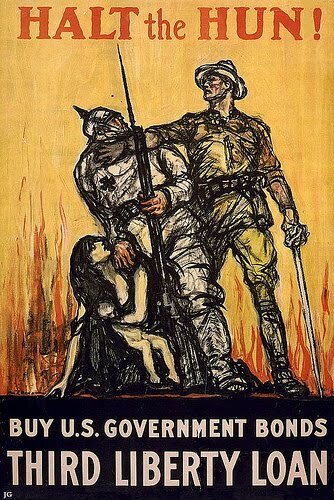 In my research of shell shock during WWI I discovered that in 2006 there were 300 British soldiers that were granted posthumous pardons for cowardice. These men were executed during WWI when they were discovered to have deserted. Through research and family campaigning it was discerned that a great deal of these men had deserted because they were suffering from shell shock. The US Military did not execute for desertion after the American Civil War until World War II. Around 50 men were sentenced to execution for desertion but only one was carried out on Private Eddie Slovik. It is not clear if Eddie Slovik suffered any sort of PTSD, but he did experience combat and was later sent to the front lines. That is when he was found with evidence of intention to desert. Click here for a link to a page with more information regarding the British pardon and executions for cowardice on men suffering shell shock. 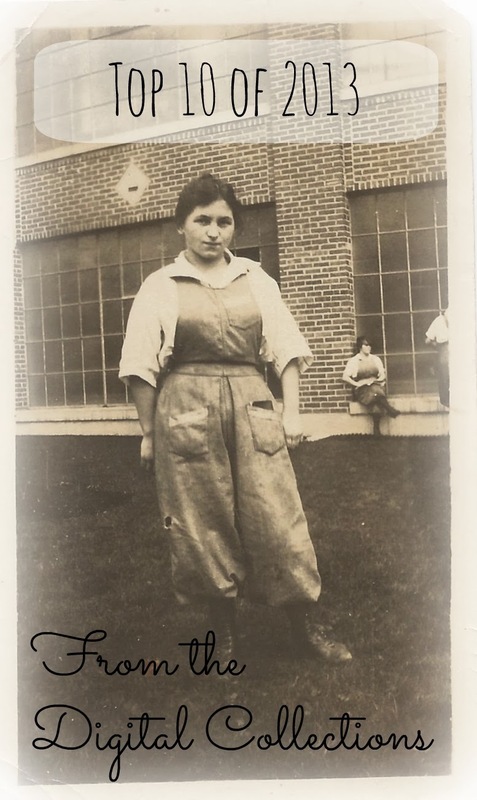 After finishing the cataloging of the letters between Jake Schomber and Minnie Wilson, I came across some miscellaneous letters written to Jake during WWI. This was an exciting event as the letters of Minnie and Jake, while interesting, become a little repetitious after awhile. 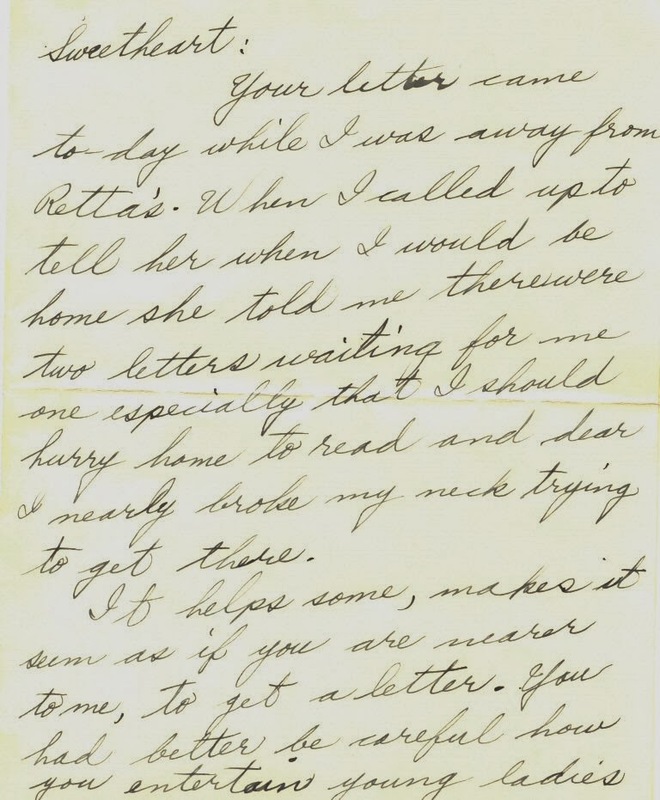 I have noticed that while reading correspondence (whether it be Minnie and Jake’s or the Anderson’s) there are references to other letters written and it makes me curious to read that specific letter. But, for some reason, the letter mentioned is not in our collection. This always reminds me that what I find important in an item is not necessarily what was important to the original recipient. With this letter, however, it is not hard to see why Jake kept it. The letter is from his niece, Evelyn Lewis, daughter of Anna Schomber Lewis and Joseph Lewis. 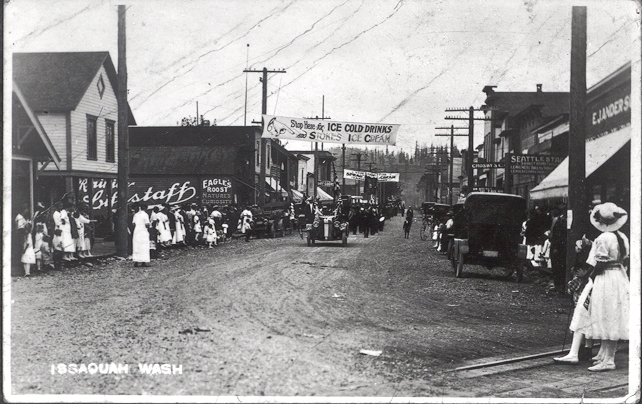 It is dated October 5, 1918, and in the painstaking script of a 10-year-old Evelyn told Jake all of what she deemed important and newsworthy in Issaquah. She continues by saying that Carrie is home again, presumably her Aunt Carrie, Jake’s sister. I am curious to do a little more digging to determine where Carrie was, perhaps school? Evelyn’s letter also contains a separate piece of paper on which she has written “Here is too pictures Florence made you aren’t they beautiful.” On the front of the paper Florence, Evelyn’s 4-year-old sister, has drawn a house (complete with door, window and chimney) and a lady. The amazing part about these drawings is that you could compare them with the drawings of a 4-year-old of today and they would be very similar. It seems that the stylings in drawings of children doesn’t change much, even over almost 100 years. This letter and the enclosed drawing was such a pleasure for me to find in our collection that I can’t imagine how happy Jake must have been to receive it while in the Army. Jake was still in Camp Fremont at the time Evelyn (and Florence) wrote the letter but no more than 2 weeks later he was shipped out to go overseas. I can imagine this letter helped to lift his spirits. 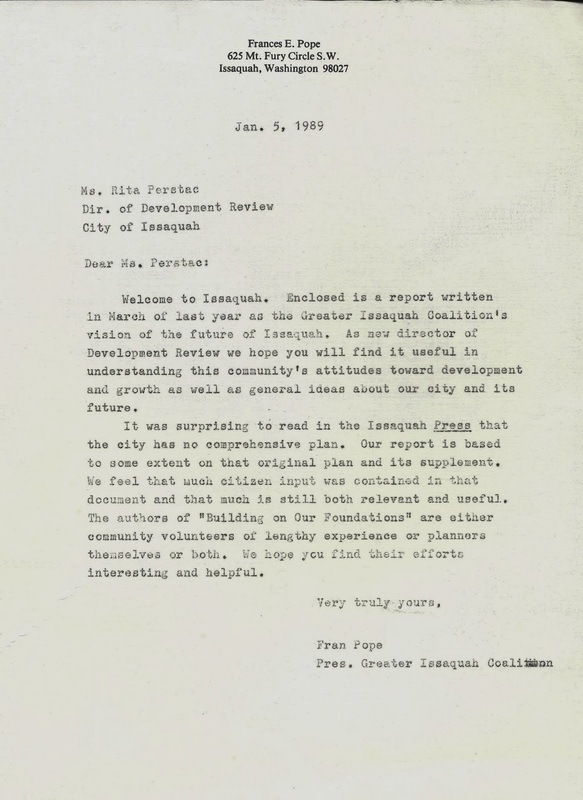 A generous grant from 4Culture is currently funding the digitization and cataloging of several archival collections, include the letters of Minnie Wilson and Jake Schomber, Issaquah residents and sweethearts. 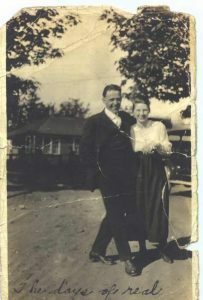 The couple corresponded during World War I, when Jake was serving in the Army. This post is part of a series of posts about their lives and letters. There have been a number of times while reading through the Minnie and Jake letters that I have come across a term that is unknown to me. Upon further research, I discover that the term is a racial epithet that has probably gone out use for a variety of reasons. These are the moments that pop us out of the nostalgia of historical research and into the reality of what it was really like to live in that world. Being as Minnie and Jake were apart during WWI, one derogatory term pops up again and again. Hun. 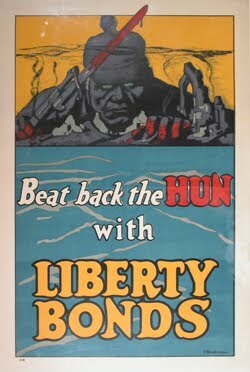 As in “Damn the Kaiser, and kill a Hun for me while you’re over there.” The term “Hun” to reference a German soldier came into vogue during World War I and was derived from a speech in which the Kaiser compared the German soldiers to those that fought under the leadership of Attila the Hun. After that speech it was common for newspapers and people to use it as a generic name for and as an expression of hatred towards the Germans. 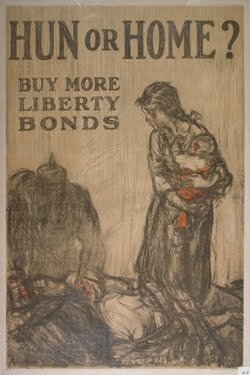 A Washington State newspaper, The Palouse Republic, ran an article Jan 4, 1917 quoting a soldier as saying “we are now quite advanced along the lines of modern Hun killing.” A number of propaganda posters (the images in this post) came out showing German soldiers as violent, scary, and unforgiving and further spread the derogatory nature of the term Hun. In essence, we forgive Minnie and Jake because the terminology that they use in their letters was so commonplace during the time, especially the word Hun. The interesting thing here is to look at their genealogy. Jake’s parents actually immigrated from Germany. Let me say it again, his mother and father were both born in Germany. According to the 1920 Census, Henry Schomber (Jake’s father) immigrated in 1871, making him about 11 at the time. 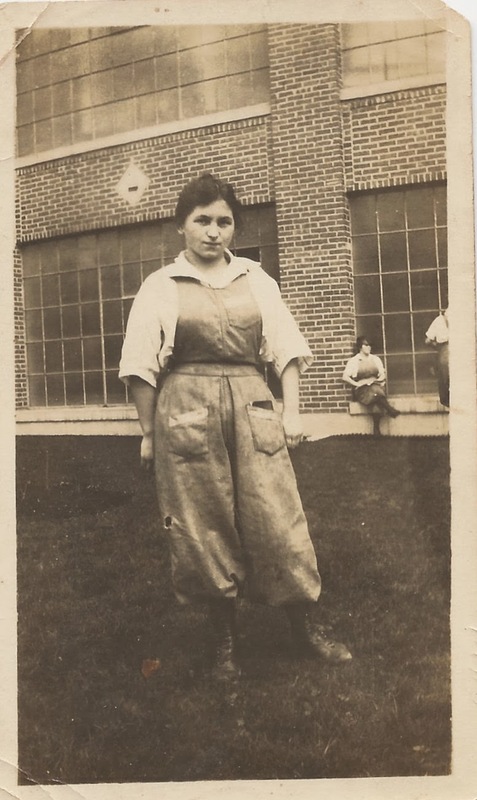 Jake’s mother, Anna, in 1875, making her about 13 when she immigrated. So while Jake’s parents weren’t adults when they came over, they weren’t infants either. It would be interesting to know their side of the story. How much of a connection with Germany did they feel? How did they feel about their son going off to fight against their home country? Did they throw the term Hun around just as much as Minnie and Jake? Unfortunately their letters to Jake are not in our collection or we may have a small glimpse into their thoughts. Despite the use of innappropriate terminology, I appreciate these moments for all we can learn. Just when I start getting sappy about the epic love tale of Minnie and Jake and how it overcame all odds, one of them decides to throw a nice racist remark into the mix and bring me back down to reality. History, while we can look back upon with nostalgia, isn’t always pretty. It can be ugly and gritty and remind us of how far we’ve come and perhaps how far we need to go. Minnie and Jake’s letters are quite similar in some ways. They both spend the majority of their time writing about how much they miss each other and wish that they were back together. I can only imagine how important it was for Jake, all alone in muddy Camp Fremont, CA, to receive these letters to keep his morale high. But their letters are also very different. Minnie’s letters are great from a historical perspective – she provides excellent gossip and uses both first and last names in her letters. The news is pretty benign but the information is good for researchers and cataloging. Jake’s letters on the other hand are definitely the entertainment pieces. At first you feel a little invasive reading some of the more “loving” parts, but as you dissect the subtleties of Jake’s language, you realize what he is really getting at – and it can get a little racy. 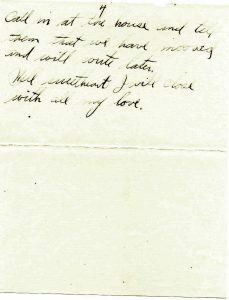 For instance Jake writes on September 2, 1918 “Oh dearest I am longing fore the time when I can hold my little girl in my arms again. But not like I used to. I want it to be different, I want you for my own, then I won’t have to kiss you goodnight at the door. It won’t be a good night kiss but a all night kiss. 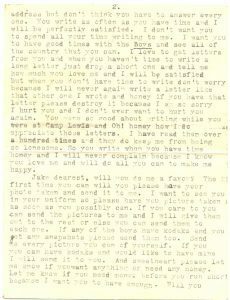 Won’t this be a grand old world then?” At the time Jake wrote this letter he was 32 and Minnie was only 21. I can’t imagine this was a letter Minnie shared with their families. It’s surprising how comfortable Jake feels telling Minnie his thoughts on her weight. Maybe he’s just trying to make her feel better, or maybe he really does feel this way. In another letter he tells her that he wants her “fat and sassy.” I think his true opinion really does boil down to his last statement: he just wants to be with Minnie. In honor of Valentine’s Day, I thought it appropriate to write about one of Issaquah’s well-known couples: Minnie and Jake Schomber. 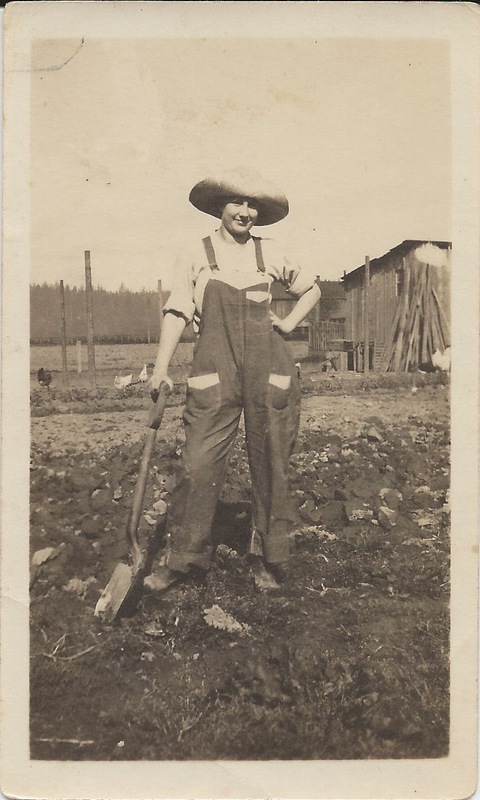 During WWI they diligently wrote each other while Jake was in the Army and Minnie remained in Issaquah – and their love letters could put any young couple to shame. A lot of their story seems like a romance movie, with just the right amount of uplifting moments and missed opportunity. After reading all of Minnie’s letters and currently making my way through Jake’s, there is a moment in the letters that has become my favorite. Prior to Jake leaving for boot camp, Minnie tried to convince him to marry her – as they were already engaged. Jake hesitated, not wanting to leave behind a wife who, after the war, could be a widow. He left for Camp Lewis (now Fort Lewis) for his first phase of training. 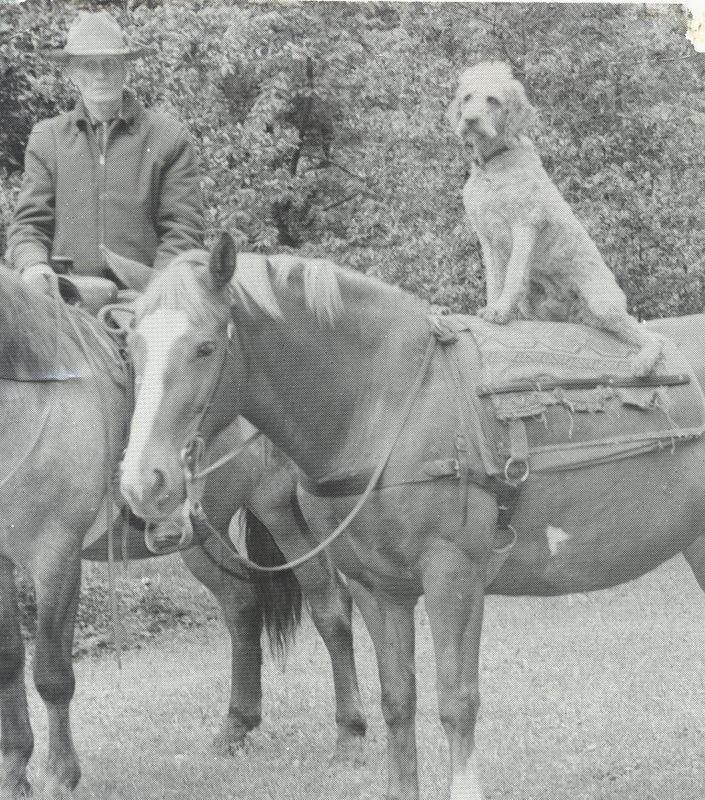 Jake only remained in Camp Lewis for a few weeks, and throughout his entire stay, Minnie pestered him to let her visit. Finally, Jake caved, thinking that his company would remain in Camp Lewis for the duration of their quarantine – of which they had a few more weeks. After getting the go-ahead from Jake, on August 15th Minnie boarded the stage bound for Tacoma. But, as Minnie’s letter describes, when she arrived at the bus station Jake wasn’t there. She headed to Camp Lewis only to discover that Jake’s company had left the day before – without warning. And as Jake’s hastily scribbled letter on August 14th describes, he doesn’t know where they are going. 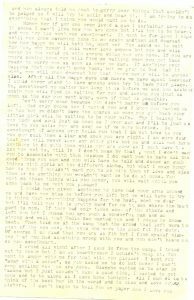 Minnie, in all her heartbroken tragedy, writes him one of her longest letters at 12 pages typed. It’s hard to imagine this scenario playing out in our lives now. We are all instantly connected by voice or email with our Blackberrys and iPhones. But in the time of Jake and Minnie, this classic movie scene of missed paths is not so unbelievable. What is amazing is the coincidence that a couple of days after Jake allows Minnie to visit, no doubt with the idea to finally marry, the Army decides to move the company. Jake ended up in Camp Fremont in California and was eventually shipped over to France. He came home safe and sound and married Minnie. You can click on the images below to read the letter for yourself, or scroll down to read our transcripts. August 14, 1918 letter from Jake Schomber to Minnie Wilson. Page 1. 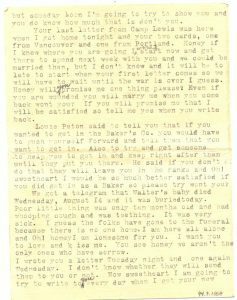 August 14, 1918 letter from Jake Schomber to Minnie Wilson. Page 2. 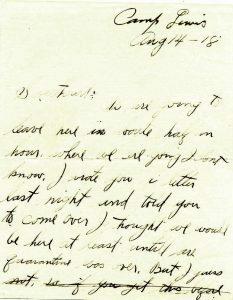 August 14, 1918 letter from Jake Schomber to Minnie Wilson. Page 3. August 14, 1918 letter from Jake Schomber to Minnie Wilson. Page 4. We are going to leave here in about half an hour, where we are going I don’t know. I wrote you a letter last night and told you to come over. I thought we would be here at least until the quarantine was over. But I guess when you get this letter I will be gone. But hope not forgotten. Oh little girl, I am almost heartbroken. I don’t know how I am going to stand it. If I could only see you before I go that would help some. But that isn’t all that I wanted to do. I wanted you for my own before they shipped me away. But guess I have waited to long. Listen honey if it isn’t asking to much, wait for me for a little. You will won’t you? I don’t think it will be very long before we come marching home again, and then little girl, if you haven’t gotten tired of waiting by then and you love me as you do now, it won’t take long for us both to be happy. I haven’t got time to write any more just now, they are lining us up to leave for the train. Will write just as soon as we get to where we are going. I haven’t got time to write home so when you go downtown, call in at the house and tell them that we have moved and will write later. Well sweetheart, I will close with all my love. 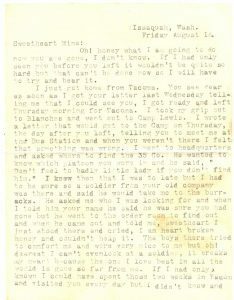 August 15, 1918 letter from Minnie Wilson to Jake Schomber. Page 1. August 15, 1918 letter from Minnie Wilson to Jake Schomber. Page 2. 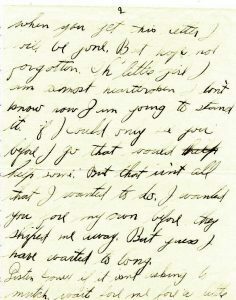 August 15, 1918 letter from Minnie Wilson to Jake Schomber. Page 3. 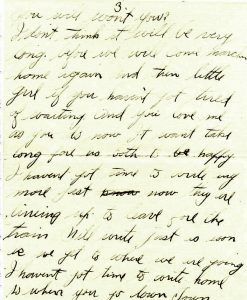 August 15, 1918 letter from Minnie Wilson to Jake Schomber. Page 4. Oh! Honey what I am going to do now you are gone, I don’t know. If I had only seen you before you left it wouldn’t be quite so hard but that can’t be done now so I will have to try and bear it. I just got home from Tacoma. You see dear, as soon as I got your letter last Wednesday telling me that I could see you, I got ready and left Thursday morning for Tacoma. I took my grip out to Blanche’s and went out to Camp Lewis. I wrote a letter that would get to the Camp on Thursday, the day after you left, telling you to meet me at the Bus Station and when you weren’t there I felt that something was wrong. I went to headquarters and asked where to find the 35 Co. He wanted to know which platoon you were in and he said, “Don’t feel badly, little lady, if you don’t find him.” I knew then that I was to late but I had to be sure so a soldier from your old company was there and said he would take me to the barracks. He asked who I was looking for and when I told him your name he said he was sure you had gone but he went to the order room to find out and when he came out and told me, sweetheart, I stood there and cried. I am heartbroken honey and couldn’t help it. The boys there tried to comfort me and were very nice to me but oh! Dearest, I can’t even look at a soldier, it breaks my head because the one I love best in all the world is gone and far from me. If I had only known I could have spent those weeks in Tacoma and visited you dear, but I didn’t know and you always told me not to worry over things that can’t be helped so I will try to smile and bear it. I am trying to do everything I think you would want me to do. Honey boy, if any one ever loved a man I certainly love you. It seems I can’t live now you are gone but I’ll try to be brave. And you try too won’t you sweetheart. It won’t be for long I hope until you come marching home to me again and then oh! Dearest boy how happy we both will be, won’t we? You asked me to wait for you, why honey I will never love anyone but you and will never in the world go with anyone while you are gone. If you are years coming home you will find me waiting when you get back, ready to marry you as soon as ever we can. If anything ever happens that you don’t come back, but we pray to God that it won’t, you will know dearest boy that there never will be anyone else. After all the happy days and hours we have spent together, I could never stand to have anyone even try to take your place. No, sweetheart, no matter how long it is before we see one another again, you will find me waiting for you and loving you just as much as the day you went away, more if that is possible. Don’t worry dear because you didn’t marry me before you left. God only knows how I wanted you and you wanted me too, but we didn’t have the chance so when you get back, your little girl will be waiting to be your wife. Why I belong to you, body and soul just as much as I ever can and I’ll be true to you while you are away as if we were married. So sweetheart, if anyone ever tells you that I am not true to you, you can call them a liar and know you are right. I am sure that you will never love any other girl but me and will not have anything to do with them while you are gone so I don’t ask you not to, will I? I don’t mean by that, that I don’t want you to associate with them because I do want you to have all the good times you can and you will have to talk and dance and such things with girls at the different clubs, but what I mean honey boy is that I wouldn’t want you to go with them or love and kiss them or do anything you wouldn’t want me to do at home. You won’t do those things, will you honey, you will wait until you come back to me won’t you please? I would have given anything to have had your arms around me and have you kiss me before you left but we will have to try to thank that everything happens for the best, won’t we dear, but I’ll tell you it is pretty hard for me to see where the best part is now. If they had only taken some of the others and left you but I guess you are such a wonderful man and so strong and well that Uncle Sam wanted you and I guess he knows best. They told me at the camp that the crowd that left were the pick of the new men, the ones who were the most fit for duty. Of course I am glad that you are so fit but I find myself wishing that you had something wrong with you and you don’t blame me, do you sweetheart. I cried all night after I came in from the camp, I tried not to honey, but I am so heartbroken I couldn’t help it. You won’t be angry at me for that will you please? I sent you “away with a smile,” as you asked me to do but honey I can’t keep smiling now you are gone. Blanche wanted me to stay in Tacoma but I just couldn’t have a good time. I wanted to get home and to be alone so I came home tonight. All I can do is think of the best boy in the world and to kiss and to love your picture. I can’t begin to tell you on paper how I love you but someday soon I’m going to try to show you and you do know how much that is don’t you. Your last letter from Camp Lewis was here when I got home tonight and your two cards, the one from Vancouver and one from Portland. Honey if I knew where you are going I would start now and get there to spend next week with you and we could be married then, but I don’t know and it will be to late to start when your first letter comes so we will have to wait until the war is over I guess. Honey will you promise me one thing please? Even if you are wounded you will marry me when you come back won’t you? If you will promise me that I will be satisfied to tell me yes when you write back. Louis Piton said to tell you that if you wanted to get in the Baker’s Co. you would have to push yourself forward and tell them that you want to get in. Also to try and get someone to help you to get in and keep right after them until they put you there. He said if you don’t do that they will leave you in the ranks and oh! sweetheart, I would be so much better satisfied if you did get in as a Baker so please try won’t you? We got a telegram that Walter’s baby died Wednesday, August 14, and it was buried today. Poor little thing was only ten months old and had whooping cough and was teething. It was very sick. I guess the folks have gone to the funeral because there is no one home. I am here all alone and oh! honey I am lonesome for you. I want you to love and kiss me. You see honey we aren’t the only ones who have sorrow. I wrote you a letter Tuesday night and one again Wednesday. I don’t know whether they will send them to you or not. Now sweetheart I am going to try to write to you every date when I get your new address but don’t think you have to answer every one. You write as often as you have time and I will be perfectly satisfied. I don’t want you to spend all your time writing to me. I want you to have good time with the Boys and see all of the country that you can. I love to get letters from you and when you haven’t time to write a long letter just drop a short one and tell me how much you love me and I will be satisfied but when you don’t have time to write don’t worry because I will never again write a letter like that other one I wrote and honey if you have that letter please destroy it because because I am so sorry I hurt you and I don’t ever want to hurt you again. You were so good about writing while you were at Camp Lewis and oh! honey how I do appreciate those letters. I have read them over a hundred times and they do keep me from being so lonesome. So you write when you have the time honey and I will never complain because I know you love me and will do all you can to make me happy. Jake dearest, will you do me a favor? The first time you can will you please have your photo taken and send it to me. I want to see you in your uniform so please have your pictures taken as soon as you possibly can. If you care to, you can send the pictures to me and I will give them out to the rest or else you can send them to each one. If any of the boys have kodaks and you get any snapshots please send them too. Send me every picture you can of yourself. If you can have kodaks and you’d like to have mine I will send it to you. And sweetheart please let me know if you want anything or need any money. Let me know if you need money before you run short because I want you to have enough.